Six years ago, the Florida Legislature passed a bold reform to developmental education. Senate Bill 1720 (SB 1720) lifted the college placement test requirement for recent high school graduates, allowing them to decide whether they wanted to take developmental courses. The bill stipulated that those courses be taught in one of four instructional modes: compressed, modularized, corequisite, or contextualized. It also required institutions to provide enhanced student advising and support services more tailored to students’ needs. The Center for Postsecondary Success (CPS) at Florida State University has been conducting a comprehensive evaluation of Florida’s developmental education reform. The study includes analyses of student record data from the Florida PK-20 Education Data Warehouse, surveys of leaders at Florida College System (FCS) institutions, and site visits to the 28 community and state colleges in the FCS. Since fall 2014, developmental education course enrollments have declined across the FCS, particularly for students from racial/ethnic minority groups. Students have largely shifted their enrollment into college-level courses. Gateway course enrollments have increased across the system in both mathematics and English, with larger increases for Black students (from 12 to 22 percent in math and 49 to 72 percent in English) and Hispanic students (from 22 to 32 percent in math and 62 to 74 percent in English) than for their White counterparts (from 25 to 33 percent in math and 67 to 75 percent in English). Compared with students in previous cohorts, a larger share of students in the FCS entering cohorts since fall 2014 have passed their gateway courses, indicating that there are now greater shares of students taking and passing gateway courses. Gains have mostly been larger for Black students (from 7 to 12 percent in math and 33 to 48 percent in English) and Hispanic students (from 14 to 21 percent in math and 46 to 57 percent in English) than for White students (from 16 to 21 percent in math and 50 to 56 percent in English). First-year credit hours attempted and earned increased for all students following the reform’s implementation. Increases were larger for Black students (from 11.7 to 14.8 attempted credit hours and from 7.2 to 8.9 earned credit hours) and Hispanic students (from 14.2 to 16.6 attempted credit hours and from 10.3 to 11.8 earned credit hours) than for White students (from 15.2 to 16.8 attempted credit hours and from 10.8 to 11.9 earned credit hours). In spite of initial concerns about how SB 1720 would affect student success and equity, the results in Florida show improvements for all students. It’s important to remember, however, that many factors likely contributed to the success of Florida’s developmental education reform. SB 1720 eliminated placement test requirements for recent high school graduates, and evidence suggests racial/ethnic minority students are disproportionately placed into developmental courses when they have to take these exams. Allowing those students to opt out of developmental education courses provided them the opportunity to enter college-level coursework and succeed. Educational communities are often concerned about top-down legislative action, but leaders at the system and institutional levels in Florida looked at SB 1720 as an opportunity to change ineffective practices in developmental education. So as soon as SB 1720 was signed into law, many institutions got to work on their plans to implement the reforms to meet the needs of students on campus. In a few institutions that were already reforming developmental education, SB 1720 served to guide and accelerate those efforts. Core groups on campus stepped up their game in response to SB 1720. Advisors began using multiple measures to assess students’ academic preparation and provide more holistic, individualized, and engaging support for students. Instructors took time to better understand student preparedness at the beginning of the semester; provided extra assistance for students who needed it; and fostered students’ academic confidence and skills across the curriculum, especially in developmental and entry-level courses. Academic support staff members expanded their services to offer more coaching and tutoring sessions to meet students’ needs. In responding to SB 1720, groups on campus increased their collaboration and communication. At many colleges, academic affairs and student affairs administrators came together to implement the reform. Faculty, advisors, and academic staff members worked as teams to share student progress information and develop integrated solutions. Campus communities united as if they were facing a crisis and understood that they had to step up to the challenge to ensure student success. The FCS colleges have spent the last six years transforming themselves for greater student success, and early evidence suggests that their approach to developmental education reform is paying off. But there is still plenty of work to do to improve student success and equity in Florida. Many students who opt into college-level courses do not succeed, suggesting that colleges may need to find new ways to help students with lower levels of academic preparation. Overall pass rates in gateway courses are still very low. Florida’s experience with developmental education reform suggests that if we are serious about supporting students’ postsecondary success, we should empower students to make informed decisions for themselves, provide them with support when they need it, and help them sustain their momentum through college. 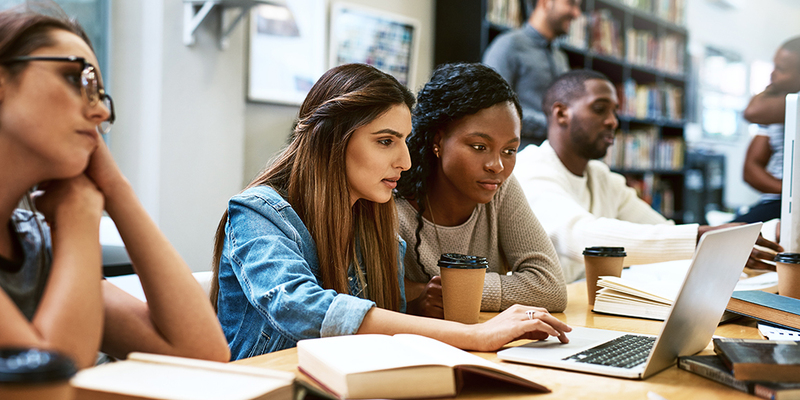 As more and more students enroll directly in college-level courses, it is also important to consider what teaching and learning practices will help students succeed immediately and in the long run. Institutions in Florida have demonstrated that they can transform to improve student outcomes. The CPS team has worked extensively and continues to work with colleges to gain first-hand insights into the process of institutional transformation for student success and equity. It is now incumbent on policymakers, funding agencies, and other education stakeholders to understand and provide the support institutions need to offer educational opportunity for all students. Shouping Hu is the Louis W. & Elizabeth N. Bender Endowed Professor and the founding director of the Center for Postsecondary Success at Florida State University. His research interests center on issues related to postsecondary readiness, outcomes, and success.